Serving Greater New York Area Since 2009! Buying a home is one of the largest investments you will ever make in your lifetime. That is why home inspections are one of the best decisions you can make when you are in the market for a new home. Let our team of licensed, experienced, professional home inspectors help you learn more about the home you want to buy and help you plan for future home repairs and maintenance. Trusted in the industry since 2009, we have inspected thousands of residential, condos, co-ops, multi-use, multi-family, and commercial properties throughout the greater New York City area. So we are prepared to deliver you a 200% Satisfaction Guarantee. If you are not satisfied with our work, we will refund your home inspection fee and pay for another New York State licensed inspector of your choice to perform the home inspection (up to the original fee). By choosing Gotham City Home Inspections, you get the benefit of having a No-Risk Satisfaction Guarantee with the peace of mind you deserve. The inspector, Andrew, was so friendly and very knowledgeable. The inspection process was very thorough. He explained all that was being done throughout the inspection. He offered many suggestions and tips for maintenance on the home. Gotham also offers additional services for free that are included with the inspection. (Termite inspection, 90 day warranty, recall check service report and a helpful home maintenance manual). I’m am extremely satisfied with their service and highly recommend them if you are in need of a home inspection. - Pamela C.
Tony and Rich were well seasoned in home inspection and were clear on what they would be doing during the inspection, what they wouldn't do, and what questions they could and could not answer. Their communication was great leading up to the inspection and they arrived on time. They took their time and made sure to inspect everything that they promised. They let me tag along and look over their shoulders, asking questions along the way. After we were finished they answered all of my remaining questions before they left--I did not feel rushed. Great team! - Hans S.
Great service- wonderful, very professional, check all corners and books and crannies of the time, and don’t miss anything. Also easy to schedule, flexible, reasonable pricing, and very good customer service. Extremely fast turn around with the inspection report!! Definitely recommend and would use again the next time I consider buying a home. 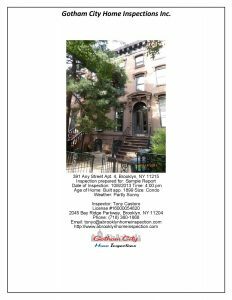 - Beia S.
Please contact us for more information or to schedule a home inspection. We are a trusted company in the home inspection industry since 2009. 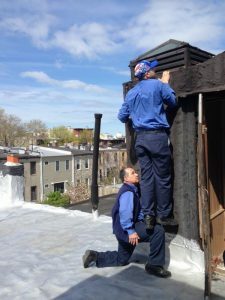 We provide reliable Home, Co-Op, Condo, Multi-Use, and Small Commercial Inspections in all 5 Boroughs of NYC. We are committed to giving you the best Home Inspection possible! Our services don’t end after the inspection. Once we inspect a home, we become your home consultant for as long as you own the property! We know how important it is for you to get the information about your future home right away. We provide a detailed electronic home inspection report the day after your home inspection. Our reports include a narrative, summary page, and color photos of the areas we inspected. Click here to see a SAMPLE CONDO REPORT! An inspection is just the start of keeping your home in good condition. 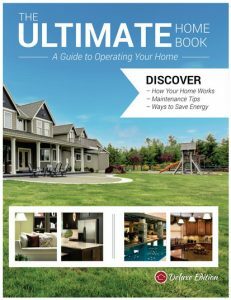 With each inspection, we offer a free book filled with home maintenance tips and other valuable information. Please contact us for more information. Copyright © 2019 Gotham City Home Inspections. All rights reserved.